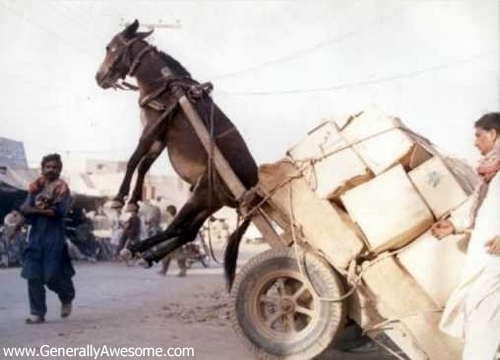 Donkey "Pulling" carrello. Poor donkey!!. Wallpaper and background images in the random club tagged: donkey funny random. What do you mean, "Poor donkey?" That donkey is dragging the stuff behind him just fine!